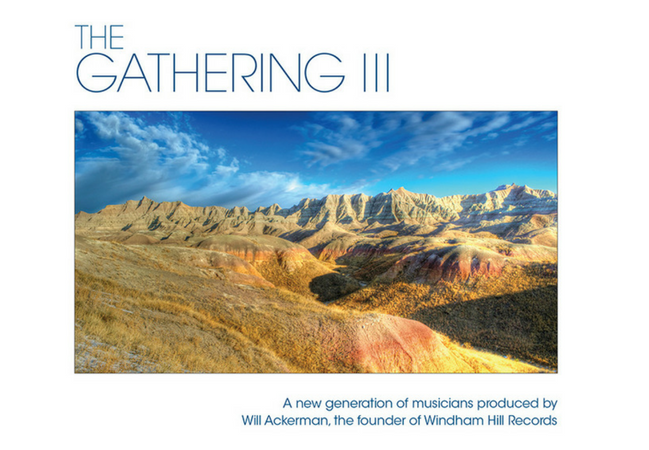 Will Ackerman: “We’re happy to announce THE GATHERING Volume 3. Following in the footsteps of the tremendously successful Windham Hill Samplers (all of which won either Gold or Platinum Record awards), The Gathering is comprised of musicians Tom Eaton and I have produced in the last couple of years at my Imaginary Road Studios in Windham County, Vermont. The first two volumes of THE GATHERING won awards including ZMR’s ALBUM OF THE YEAR AWARD. THE GATHERING III offers pieces from 19 artists and over 74 minutes of music.